During our reunion with our three sons several weeks ago we took a break to go to the Raptor Center in Huntersville, North Carolina. Eagles, Hawks,vultures, and owls by rhe score rescued from harm, injury and disease were all part of Gods creatures there.They were, being nursed back to health by an amazing gathering of caregivers. One vision stays with me. There was a brilliant white expanse of outspread wings. Such was the dimension of those wings that we could not believe they belonged to a living thing. But as we approached the sight, the wings began to move and were withdrawn again in toward its body. Behold it was an enormous vulture! Obviously, it takes two wings for a bird to fly. And every feather. Not much of a brain, mind you, but those wings are essential and fundamental to flight. I thought then of the ministry of reconciliation and let me tell you why. 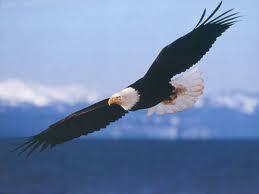 The glorious American Bald Eagle has long been associated with this great nation. How it soars riding high aloft on mighty up drafts of air over our Grand Canyons. I repeat myself; it takes two wings for a bird to fly. It takes two wings and every feather to the furthest left and right of its extremes to gather in the the mighty uplifting wind currents. As the lovely hymn puts it "I will raise you up on Eagle's Wings". It takes both a left wing and a right wing. Both. In our political life the left wing and the right wings treat one another as if they don't need one another. We are much the poorer for seeing our political life as so mutually exclusive. We have been entrusted with the ministry of reconciliation. We are in Christ now. The old has passed away, behold the new has come. Everything is new, now that we are in Christ. All this is from God, Paul the Apostle tells us In today's Epistle. We have been reconciled to God through Jesus. And therefore, we have been given the ministry of reconciliation. So how is that working out for us? In our schools, workplaces, and neighborhoods? In our national political life? How is it going; this ministry of reconciliation which we have been given? In the twelve step program we are taught that the pathway to peace is in the giving up our opinions, our insistence on the "my way or the highway" approach to life. Only those who love their enemies, and those with whom they most vehemently differ can be called "Ambassadors of Christ". If reconciliation with all is not uppermost in our hearts and minds, we are far from the Mind of Christ. And most difficult of all, when was the last time you actually went to God or another human being to say; "I have sinned against heaven and earth and I am no longer worthy of being called your son?" The Psalmist tells us today that while we hold our tongues our bones wither away but when we confess our sins to God, our guilt is then taken away. The Psalmist further says; "Do not be like a horse of a mule!" The Psalmist must have been reading our hearts and our newspapers. There is a vast difference between conversation, and honest debate on the one hand and insult and invective on the other. For us to hold discourse with one another we must cultivate our listening skills. I learned that skill during my weight loss efforts by the way. Listening is a four step process. Few of us go to the lengths that listening requires. Instead, we tend to react to anything we disagree with and immediately jump to our opinions, myself included. I confess to you and to God almighty. Folks this approach is not helping us at any level of human relationships. If we are to lay claim on the ministry of reconciliation which Christ himself has entrusted to us, we must first set aside our opinions, and listen to one another no matter how much we may differ, disagree or diametrically oppose. 1. Listen actively and accurately. Repeat what you hear to be sure you hear exactly what the speaker says. 3. Probe what the speaker is saying. Ask questions of clarification and seek to understand the intention of the speaker. Is this what you mean? And so on. 4. Support then what the speaker is saying. Find something of value to what the speaker is saying, something you can agree with. There must be something. Then and only then do we respond. Do not react. Respond. And ask the speaker then for the same courteousy; namely, to listen to you. Allow you to speak. Probe what you are saying. Find something to support in what you are trying to articulate. We called it the LAPS Strategy. Imagine if we could practice such a skill in our families and marriages, in our schools, our workplaces, in our neighborhoods and communities. In our political lives, and among the nations of the earth. Imagine a world built with such mutual regard and respect. If we are in Christ we are new Creations. Behold the old has passed away the new has come. All this is from God who has given us the ministry of reconciliation. In the parable of The Prodigal Son, see how hard it is. The son who squandered his inheritance had to come to his senses. The father was only too happy to see his son again. Such is the love of a parent's patience, that when the child returns the heart leaps for joy. But then there is that old sibling rivalry that kicks in. That good for nothing son of yours. You never killed the fatted calf for me. How hard it is to come to our senses like the Prodigal Son. Even more difficult is forgiveness of the older brother and sister. Most difficult of all is American Party Politics. However we are in Christ. We have been born anew to living hope. You do know that. All the old stuff has passed away. A whole new way of being has been planted in us by none other than the living and risen Christ. Not long ago I read that a pair of Eagles have been spotted in the Neponsit River wetlands, the first time in many decades that these mighty symbols of our Nation's soaring and noble ideals have been seen. Imagine the Eagle soaring once again! Is it beyond the reach of humankind to achieve such noble ends? Surely for those of us who are in Christ, not only is such an end within our reach. It is of the essence of who we are as Ambassadors of Christ. 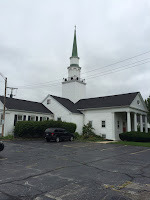 When we were all much younger and the children were little we served The Church of the Epiphany in Euclid, Ohio. In the Summer, Cindy and I would pack up the car and the camper so that we could come back home to visit friends and family. We loved camping near the Cape Cod Canal and then at Old Orchard Beach in Maine. All this brings back fond memories. Mind you, it was a twelve to fourteen hour trip from Ohio depending on the weather and the traffic. It didn’t take much for a fight to break out amongst the boys for any number of spurious reasons such as to who would sit where. Sometimes there were mild but persistent annoyances like Michael’s playing the clarinet hour after hour in the confining quarters of a small car. But by and large, they are good memories. And now as I think back, what I wouldn't give to have some of that time back again. Now here we are at Trinity Church in Canton and we continue on our Lenten Journey. Today our focus is on the Christ Event. It unfolds within the context of the Divine Drama. The Catechism teaches us to call these The Five Mighty Acts of God. We’ve named Acts I and Act II; The Creation and The Exodus. 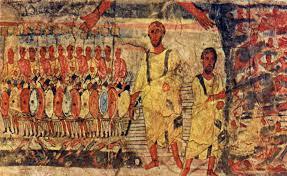 God created everything that is and then brought the children of Israel up out slavery in Egypt into the Promised Land. We are told in today’s first lesson that the waters gushed out of the rock. God quenched their thirst. And then they knew God is indeed in their midst. 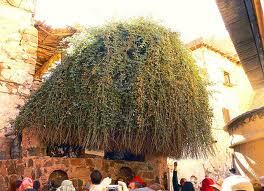 Moses named the place “Massah” which means “test” in Hebrew because the folks tested God there. And “meribah” because the folks complained. In the Gospel there is another wilderness experience with the woman at the well. Jesus is tired from his journey. He’s thirsty too at the noon of the day. I’ve been in the Holy Land when the sun beat beats down from high in the sky; you become dry as dust. We constantly carried two liter bottles with us and easily went through three or more bottles a day. Well might Jesus be thirsty. The dialogue between Jesus and the woman is instructive. He asks her for a drink. First, no self respecting rabbi would speak to a woman. Period. Besides respectable women went to the well first thing in the morning before the heat of the day. "Other" women went later on. There was a reason why this woman could not go to the well at a respectable hour. And a Samaritan woman at that! Do remember that, as the Scripture says, Jews do not speak to Samaritans. They were considered heretics and apostate. They used Hebrew but a form of the language that actually predated then contemporary Hebrew. The version of the Torah they subscribed to was slightly different. Folks can always find a reason not to speak to folks. But Jesus spoke to her. He spoke to a woman. At noon. A Samaritan woman at noon. That’s breaking three important conventions. Horrors! The story turns then from Jesus’ thirst, and the woman’s thirst becomes the focus of the story. Jesus offers to satisfy that thirst with a kind of living water, the kind of water that springs up to eternal life. Then Jesus changes the subject from the thirst for physical water to the woman’s husband. Well, then the truth came out about the five husbands and that the man she was with presently was not her husband. She recognized that Jesus was a prophet. He knew the secrets of her heart and even then, he offered her the kind of water unlike anything she’d ever drunk before. What then did this woman thirst for? What is the eternal life she was seeking? What Jesus offered her was the kind of water that springs up to eternal life. That water was the kind of love Jesus offered, the kind of forgiveness he could provide. The reconciling and healing presence with which he could touch her life. The disciples were concerned about Jesus; “Have something to eat.” Jesus explained that he had food to sustain him they knew nothing about. After all, Jesus' food was to do the will of the One who sent him like reaching out to this sinner, like reaching out to each one of us. The Christ event is pivotal in the Divine Drama for all of us. Our wilderness experiences are not easy. Relationships can become stressed and strained. Our relationship with God can become such that we wonder whether God is even there or not just like happened to the Children of Israel in their wilderness. In fact much like the world we live in, folks may go on and on in life as if there is no God at all.That’s just the way it was in the beginning, is now, and ever shall be. It is the central fact of our faith that Jesus is with us every step of the way in our journey through the wilderness; in our joys and in our sorrows, in our sins as well as in forgiveness, in our struggles for justice as well as in those moments when we suffer the indignities of defeat. Jesus is with us every step of the way through our suffering and death and to the very day of resurrection. I invite you to come to him and proclaim him in the name of the church. What I find interesting in God’s Great Salvation plan is that it is always God who takes the initiative. God is the one who created everything that is. God is the One who seeks out Adam and Eve and Cain to give an account for what is going on in the Garden. God notices the suffering of his people, and calls on Moses to go down and tell old Pharaoh; let my people go. All of us need to go down to Washington and tell our old Pharoahs that the proposed national budget is an immoral assault on the poor, the sick, the elderly. It is God who gives the Law to Moses to clarify that with freedom comes responsibility. It is Jesus who seeks out the woman at the well to satisfy her thirst not just for water but for that kind of water that wells up within to become eternal life. In the Christ event the waters of Eternal Life include forgiveness, reconciliation and accountability and the kind of love that only God can provide. As Jesus proclaimed to his disciples, so too we learn that our food is to do the work God wants us to do. It is when we learn to love one another like this that we take hold of eternal life in our lives with one another. And so the car and the camper are filled to the brim and God’s family continues on that long journey home. In our creation, our exodus and in our relationship with the living Christ, God seeks to satisfy our deepest thirst from that spring that wells up within us. May God grant us grace to say "Yes" to the water he offers to slake our thirst. In school we are taught all about history. In American schools we are taught primarily about American History. But there is Also Central and South America, and our Neighbors to the North. I lived in Canada for 11 years and learned a great deal about Canadian, English and European History. But Africa, China, India, Russia, The Ukraine and The Crimea, The Middle East they have history too. How did Israel come into being since World War II? What happened to the Palestinian people when hundreds of their villages were destroyed and millions of their young people became refugees? How is it that we know so little about so much. As the Philosopher George Santayana is often quoted; “Those who forget their history are condemned to repeat it.”. Yes, we need a well educated citizenry, so that we are not so easily led astray by those who control power and wealth. But that is another sermon for another time. For today let us focus on Sacred History or Salvation History. This is what I’m seeking to do here with you as your priest during this Lenten pilgrimage we share. Last week we spoke of the Act I of God’s Salvation Plan: Creation. I described just a little bit of how the Bible came to be and then we explored the Two Creations stories; the one in which all went well, God rested, blessed the work he had done, and called it “Good.” In the Second Creation Story, things did not go so well. There was that pesky apple; Adam blamed Eve, Eve blamed the snake, there was a cover up, Cain killed Abel and nobody wanted to accept responsibility for anything they had done. “Am I my brother’s keeper” Cain said to God, by way of deflecting attention. God expelled them all from the Garden. The alienation from one another and God, and the ensuing violence became the story we know all too well down through history. The first creations story remains though; the way to live in which we are at one with God. And the Spirit always asks; “Which story do you want to tell with your life; the one in which all is well with us and God, or the one in which there is alienation and blame coverup and violence? By the way, the Genesis account of how things came to be includes a wonderful set of stories of the flood, Noah and the Rainbow, the Tower of Babel and so on. 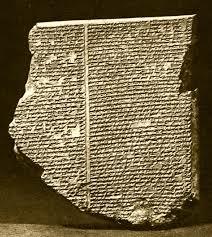 Some of those stories come to us from the “Gilgamesh Epic” which is the oldest known major literary account of ancient history. Dating from around 2100 BC this literature from Mesopotamia would have been known to the Children of Israel. The Biblical take on these stories however is unique because they are not stories of a king but stories of God’s Kingship. The Creation story continues in today’s fist lesson in which God counts Abraham’s faith as righteousness. It was because Abraham “believed” that God blessed him and Sarah with a child that they became the father and mother of of many nations. Genesis is the account of Creation; Act I of The Five Mighty Acts of God. Act II is about the Exodus. You know the stories, of how God looked upon the sufferings of the people in slavery, and then the one of the Baby in the bulrushes. Then one day as he was keeping the flock of his father-in-law Jethro, he came upon this extraordinary sight. The burning bush and yet the the fire did not consume it. And angel spoke to Moses out of the bush we’re told; “Put off the shoes form your feet Moses, for the land of which you are standing is holy land.” I hope you all realize that the land on which you stand, and the lives which you are living are holy. But then God said “Go down Moses, tell old Pharaoh, Let my people go!” That’s the part that terrified Moses. Who am I that I should go to the Man of Power and speak so to him? What comes next fascinates me. Moses wants to know God’s Name. After all, all the nations on earth have gods. Each of them has a name. What is our God’s Name? What happens then is something that changes all of Sacred History. We discover God is not merely a national possession but that God is a Creator of everything that is. More than that God is planted in the human heart too as One who seeks to right the wrongs of all. For wherever there is injustice and wherever there is suffering there you will find God. So God tells Moses; my name is “I AM”. In the Hebrew the mood of the verb I AM has no equivalent in English. You can probably translate the name “I AM” to “I AM WHOEVER I CHOOSE TO BE. In other words, you’ll see who I AM at the time you need to see it. You can imagine Moses’ consternation. “I AM”? That’s it? What am I supposed to tell these folks about Who You Are? They’re going to want something better than “I AM”! What Moses tells the people is that God’s name is so holy that we cannot say it out loud. But the essence of who God is Being itself. As I am a human being and with all the mystery that evokes, so too God is all of Being. But more than that God acts in history to bring us up out of slavery and into freedom in the Promised Land. Now that’s what it means to be “I AM”. You’ll see. What happens next in Salvation History as Moses lived it which the children of Israel, is that God summoned him up to the mountain again for that biblical “40 days”. There he was given the Law of God written on the two tablets. There we learn or our duty to God and our duty to one another. 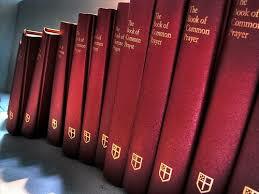 You can turn to the Catechism in the Prayer Book if you will to page 847 and 848. The commandments as written down in stone for us on God’s Holy Mountain you can find on page 317 and 350. What you see on pages 847 and 848 are by way of restatement for our education in the ways of God. The Exodus teaches us that God IS. The essence of God’s being is that whenever and wherever there is injustice and suffering there is God. And God will send his church into the midst of that injustice and suffering to be the hand of God in history. His priest said to him; “Sunt Angli”, which in Latin means these are English. 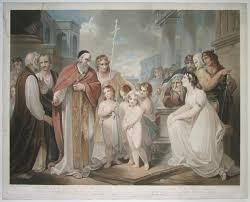 “Non sunt Angli, sed Angeli” which mean these are not English, these are Angels. And with that the first missions were sent to England to bring the Gospel to those shores. But with Freedom there comes Law. You see then how God acts in history not just to get us to believe as if some kind of intellectual or emotional response were enough. God seeks an ethical response too. God frees us from slavery. God brings us to the Promised Land. God brings us Freedom. With Freedom there comes Law. Again we return to Act I in the Divine Drama. 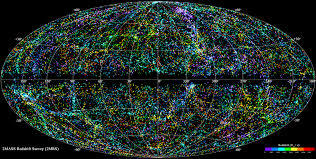 In the first Creation Story all is well. We are one with God. In the second Creation Story things go from bad to worse. In Act II the Divine Drama builds. God looks at our sufferings and the oppression and injustice and sends us into the world to bring freedom and the healing touch of Godly and human love. Folks keep telling me they wish we had a Bible Study, or that they knew more about the Bible, or that they knew more of the Church’s basic teachings. As our Lenten journey begins this year, let’s do exactly that. Come let us learn together. Please turn in the Book of Common Prayer to page 845. There you have before you “The Outline of Faith” or what is also called “The Catechism”. The word Catechism means “teaching”, the words, catechist means “teacher”, catecheumenate means “those who are learning” and catechesis is the process of teaching and learning together. As we think about the Biblical narrative, let me suggest that we organize our thoughts around God’s great plan of salvation under five headings. They are easy to remember as; “The Five Mighty Acts of God”. What are they, class? But first, let me ask you this; How did the Bible come to be? The Bible did not come to us as we now have it, signed sealed and delivered as a fait accompli. What was the process by which the Bible was transmitted and assembled over thousands of years? How did people of faith bring these stories together? Think about it! Where did it all begin? The truth is that it all began in an oral tradition that endured over hundred’s of years. But even before that, there were the experiences of God. Abraham and Sarah, Isaac and Rebecca, Jacob, Rachael and Leah and their experiences. Moses and his. Then they told their stories of their experiences of God. The people entrusted the transmission and the preservation of these stories to folks who could read and write; the scribes and the rabbis. These people became the teachers and storytellers of a very special kind. These stories were so precious to the people of God that eventually they were written down. These experiences and the stories they shared became the primary vehicle through which we became The People of God. Then the stories were woven together by folks who treasured various traditions of understandings. They preserved their traditions and stories in scrolls beginning with the Pentateuch or the Law; the first five books of Moses; Genesis, Exodus, Leviticus, Numbers and Deuteronomy. As time went on there was the period of the Judges, the Kings, the Wisdom Literature and the Psalms. They were all were written down by the scribes and eventually there was a whole collection of scrolls carefully preserved for the transmission and the preservation of the stories and traditions of God’s people. This collection of Scrolls began to be called a sacred library. And as you know, the word for library in Greek and Latin is “Biblia” from which we get our modern day word “Bible”, God’s Holy Library. Still, few people could read, the scrolls were kept in the synagogues and then the churches. They were heavy and cumbersome and very expensive. Eventually the monks of the church became the publishing society of what historians call “The Dark Ages”. For these monks, especially those in Ireland, they regarded every single word ever written as holy. Thankfully, they preserved the literature of Greeces and Rome and antiquity. 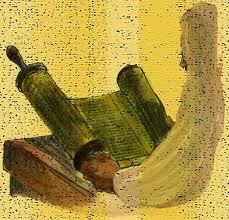 As for the Bible they began to assemble these scrolls into books. 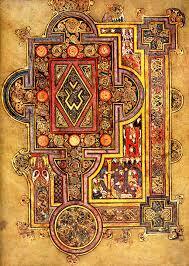 Their exquisite illuminations, such as the Book of Kells, are a magnificent tribute to western art and spirituality. When Christianity arrived in Britain and Ireland between the third and sixth centuries most of the monks and clergy could only carry two books with them; typically John’s Gospel and the Psalms. They were big heavy books. John’s Gospel was regarded then as the most faithful, beautiful, and exquisite presentation of the person of Jesus Christ. The Psalms of course were carried because they were the Prayer Book of Jesus. After all, as an observant Jew, Jesus would have read the Psalms from beginning to end every month as we still do, those of us who follow the church’s 30 day lectionary for the reading of the Psalms. With the invention of the printing press by Johannes Gutenberg around 1440, the Holy Library of Books, became available in a more manageable format as a single book. Literacy spread like wildfire. Everybody wanted a Bible. But don’t forget how it all began. When you read these sacred pages, they are an invitation for you to remember that God invites you into a living encounter with the Trinity of Persons we see in the Creation itself; God, Jesus and Holy Spirit. Jesus was there right in the very beginning. According to the Johannine account of the Creation, Jesus is the Word of God! In Genesis we read two accounts of how things were in the beginning. By the way, the method of storytelling favored by the rabbis was to give two answers for each question asked. This method of teaching was a way of cultivating dialogue and encouraging critical thought so that we might enter into deeper relationship with the living God. Thus when the people gathered by the campfire and the children asked where we all come from, the rabbis would tell more than one story. Notice the magnificent Hebrew poetry, and the cadences that speak of God bringing order out of chaos, as if all of time and space came into being out of nothing through the power of God. 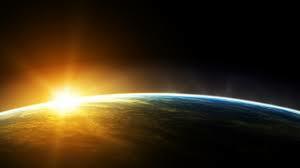 “Then came the canopy of space, the waters above and below the earth,” This was now the second day and what God did was good. On and one this creation story goes as you know, and all went well. God blessed them. Then, God saw everything that he had made, and indeed, it was very good. There it is; the first creation story. God made everything that is and it was good. It was very good. As you know, things did not go so well in the second Creation story. God caused a deep sleep to come upon Adam and created Eve. Soon enough there was the business of the snake, the apple, the disobedience, the shame, the hiding, the blame and the coverup. I often think that the nakedness of Adam and Eve is not is not so much about a physical nakedness but a metaphorical one. It was impossible for either one to accept responsibility for what they had done because of their disobedience. They chose rather to “cover up” their responsibility and accountability. 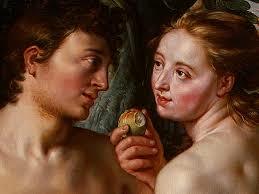 Rather Adam blamed Eve, Eve blamed the snake. What had been that state of satisfaction and goodness in the first creation story now becomes a state of alienation between the man, the woman, the created order, and worst of all God. Then enmity breaks out between the children, Cain murders Abel and the and the social alienation among all humankind enters human history. God asks this fundamental question “Where is your brother Abel?’ Cain replied, ‘I do not know; am I my brother’s keeper?’” That still statement haunts all of history. Notice that there are two narratives for us to consider in our life with God, one in which we walk with God and one another as the redeemed and the forgiven of Christ; and the other in which our alienation takes us far from the goodness of God. 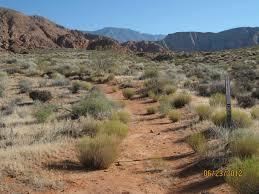 In the wilderness we are confronted with the reality of sin and evil within ourselves. In the Creation story from John the Word becomes flesh. Then there are the two creation stories from Genesis, one in which we walk with God and one another in peace. The other in which guilt, blame, coverup and rage rules the human heart. Those two story lines continue through scripture was we waver between sin and redemption, self will and obedience, blame and forgiveness. These two story lines weave their way through all of human history. Imagine that we gather together this day in the rabbinical tradition to reflect on our Creation. Imagine asking how did things came to be the way they are. I might reply let me tell you two stories of how they were in the beginning. On the one hand all was well between us and God. On the other hand, things went very badly in blame coverup and violence. The question is not how it came to be that way. The question is who we will choose to be today!